Following a few weeks of record setting heat and humidity, we finally get relief in the form of a couple unseasonably cool days. 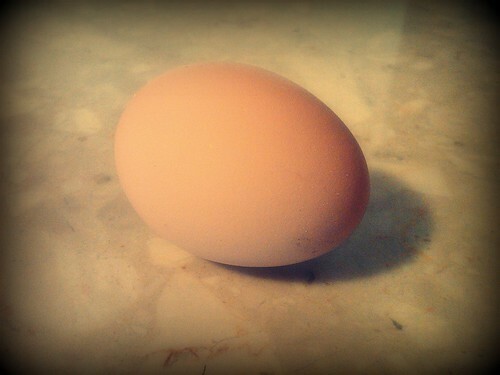 Apparently just what our chickens needed... we found our first egg this morning! It was laid perfectly in one of the nesting boxes. Either we have a smart chicken in there, or the golf ball trick works.